I wanted to make 2 shawls using some of my stash and came up with this for the second shawl. 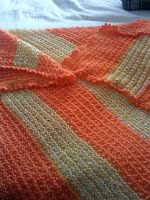 This can be used as a shawl or a lapghan. 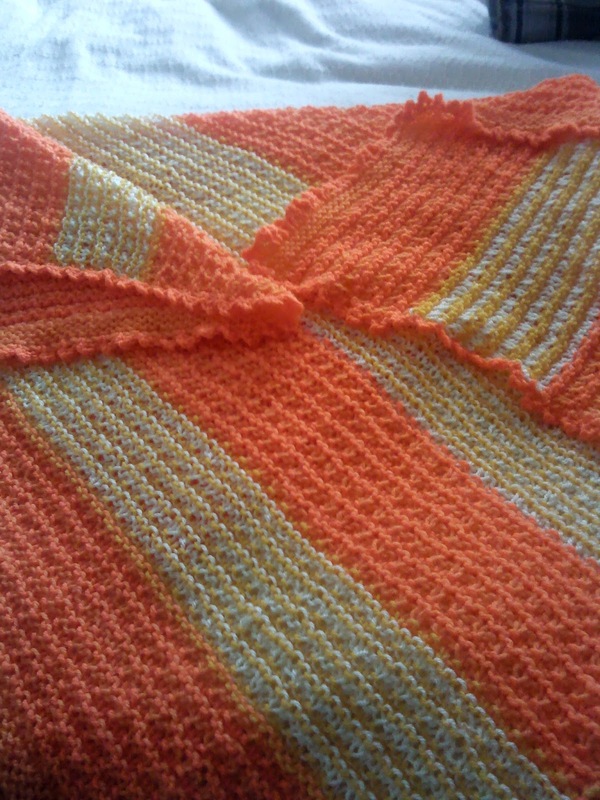 I chose all the Orange and yellows I had and created a pattern for this project myself. Fold it in half and use it as a stole, fold it so it is a sort of triangle and use it as traditional shawl or use it as an afghan for your lap. Now please remember I do nor crochet and this was my first attempt at Picot edging it adds that finishing touch and looks pretty and feminine. 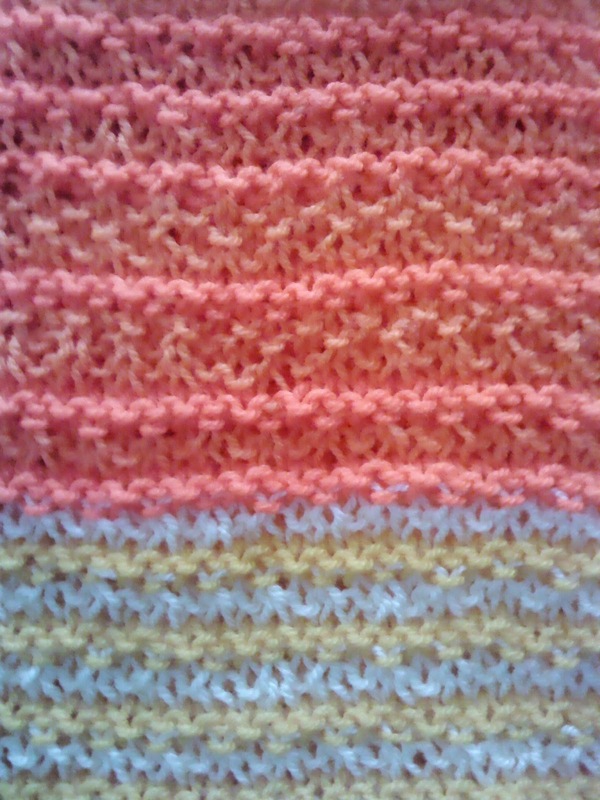 This is a close up of the pattern so you can see the garter ridges. 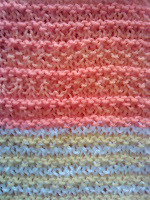 What you are doing is creating a Seed stitch pattern with Garter ridges. This can be done using one colour or as I did with four different colours or as many as you like. 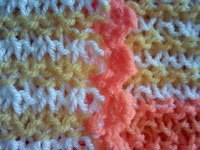 I used a Picot Crochet edging to give it a soft feminine look I have added a video of how to do the edging. I wanted it to be multi- functional so that it will provide comfort for any one. This will be given to the Hospital Cancer unit along with my other Stash Buster Shawl and the Teddy in the Bag. 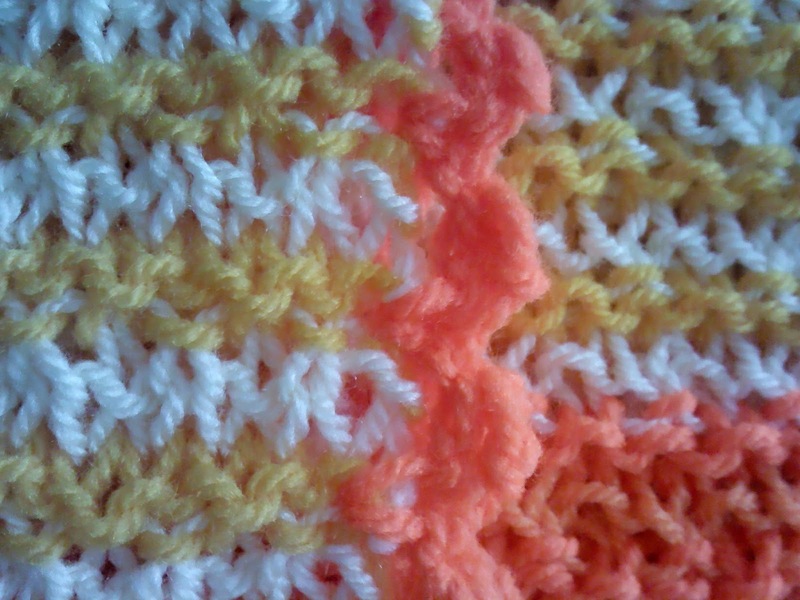 I love those colours and the crochet edging is perfect.